Eden Hazard's (£11.4m) recent back problem has triggered big sales in Gameweek 10 of Fantasy Premier League. The Chelsea playmaker will be assessed for Sunday's trip to Burnley, having missed their UEFA Europa League clash with BATE Borisov on Thursday evening. Those doubts have already persuaded more than 53,000 to move him on over the last 24 hours, more than any other player. Hazard is the second most popular player in FPL, owned by 50.2 per cent of squads. He has been the third-top captain pick in each of the last two Gameweeks. 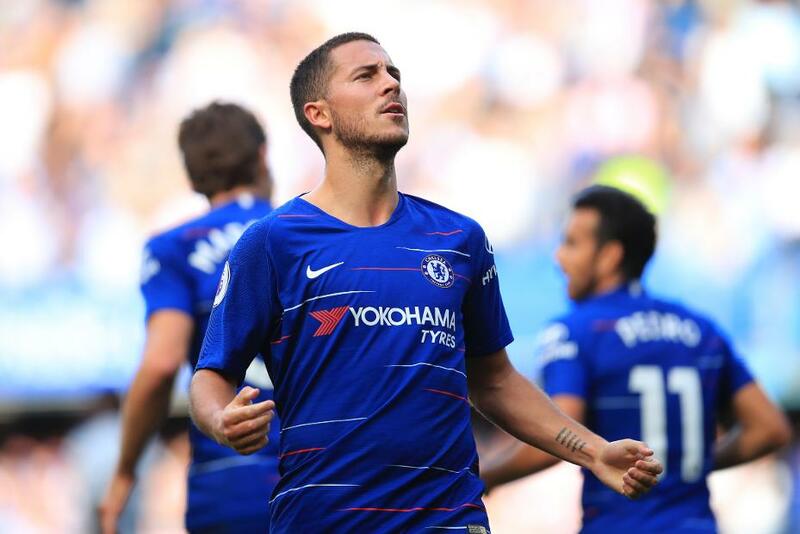 Certainly, those looking to hand him the armband again will need to make sure they have selected their preferred vice-captains in case Hazard misses out. The possible absence for Hazard can boost the potential of Willian (£7.4m) at Turf Moor. Burnley have conceded 185 shots, more than any other side over the first nine Gameweeks. And the Brazilian's creativity can profit on Sunday afternoon. His corner kick supplied the assist for Chelsea's first goal against Manchester United last weekend. Indeed, Willian has matched Hazard's total of 14 key passes for the Blues over the last four Gameweeks.